A special initiative group of scientists is establishing the Russian Psychedelic Society. The new organization has a goal to legalize the use of psychoactive drugs in official medicine, the mysterious lysergic acid diethylamide, or LSD-25, first and foremost. A prominent US scientist, Stanislav Grof, is expected to participate in the first congress of the new organization, which is slated to take place in November 2005. Like Sigmund Freud or Carl Yung, Grof is said to be one of the greatest revolutionaries in psychology. ”LSD-25 was studied very well 40 years ago. Remarkable qualities of the substance were used in the field of psychotherapy back then. – A spokesman for the initiative group, Anton Chuppin said. – Unfortunately, certain legal processes put an end to the research when psychedelic drugs were excluded from the list of legal medications. We believe that it was a wrong decision to make. A group of American scientists and cultural figures addressed to the US Surgeon General last year with a request to legalize LSD-25 to use it in medicine,” Mr. Chuppin said. Actress Barbara Streisand was one of those, who signed the above-mentioned petition. The actress confessed that it was LSD, which helped her survive the nervous breakdown, when the star discovered that her only son was a homosexual. LSD-25 was discovered in 1943 by the leading specialists of Sandoz, Switzerland's largest pharmaceutical enterprise, Albert Hofmann, by accident. The chemist took a microscopic dose of the substance and was surprised to find out later that his consciousness separated from his body. The scientist saw the world in an unusual light. Sandoz started sending LSD to all leading clinics of Europe and the USA in 1948. The results of scientific experiments were simply astonishing. The drug gave an opportunity to people to explore the world differently: patients could travel to other worlds and epochs, experience mystical feelings, which positively affected their characters and psychological problems. It is noteworthy that scientists of socialist countries were studying the LSD phenomenon too, especially in Poland and Czechoslovakia. Soviet specialist Maria Teleshevskaya conducted an extensive research of the psychedelic drug and published a positive report about her work in 1964. The attitude to LSD started changing in the beginning of the 1960s, when the drug went out of medical control and became the common property for everyone. LSD went into everyday use for hippies and artists. The broad use of the substance revealed its negative, sometimes bizarre qualities. Hollywood diva Ava Gardner, who took over 200 doses of LSD, could see a skinned skull in the mirror instead her own reflection for several months. Specialists registered several incidents of strange suicides, when LSD-drugged people jumped off high-rise buildings hoping to enter the setting sun. Senator Robert Kennedy stated in 1964 that LSD posed the central danger to the American youth. 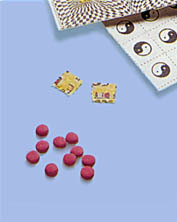 The production and distribution of LSD-25 was prohibited on the territory of the USA already in 1966. Other countries followed the USA's example soon after that. The medical research of LSD continued in America up to 1974, albeit only in the Maryland-based scientific center under the direction of Stanislav Grof, an emigrant from Czechoslovakia. The work, however, was subsequently shut down without any explanations. Maria Teleshevskaya, a Soviet scientist, published her analysis of the LSD analysis in the 1960s. The study was published in a tiny print-run in the republic of Armenia. Nevertheless, Stanislav Grof managed to expose the results of his LSD-25 research in such books as “Realms of the Human Unconscious,” “Beyond the Brain,” LSD Psychotherapy,” and several others. The scientist's work exemplifies the effect of the mysterious medication as it penetrates into the human mind and takes a person on an incredible journey through time, space and dimensions. In Grof's opinion, LSD acts as an accelerating agent of religious strikening and helps a human being realize the objectivity of divine principles. The LSD-produced effect helped Stanislav Grof establish a study about four basic perinatal matrixes of the human mind. The study became one of the most sensational and talked-about events in the history of psychology. Stanislav Grof's first visit to Russia took place in 1991. The scientist was very surprised to find out that his basic works had been published in Russia illegally. Grof's most important works were subsequently published in Russia again, this time officially. The Federal Print Agency refused to republish “Realms of the Human Unconscious,” supposedly on account of a special letter from the Russian Ministry for Healthcare. It brings up the idea that the creation of the Russian Psychedelic Society will become a scandalous event, which will definitely raise numerous discussions both in the society and in the political administration of Russia.